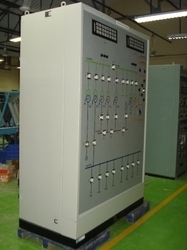 Acrastyle Controls India Private Limited was established in January 2007 in Maraimalainagar near Chennai for manufacture and supply of Control and Protection equipment for High Voltage Power System. ACIL is the wholly owned subsidiary of Acrastyle Limited, UK and a leading supplier in the UK, Germany, South East Asian and Middle East Countries. Acrastyle with their experience and expertise with a view to strengthen their base started a manufacturing facility in India to cater both domestic and export markets in Fareast, Middle East and African Countries. ACIL supported by i-Power Engineering India Private Limited, for all design and engineering requirement. i-Power Engineering is presently executing engineering projects of Acrastyle Limited, UK.